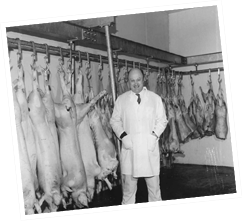 About Campbells – A Family Run Business for over 100 years. Thomas Campbell (Christopher Campbell’s great grandfather) who lived in Fife, started working as a butcher at Castle Street in Edinburgh. He quickly grasped the trick of the trade and rose up the ranks to become the master butcher/manager at the shop. Birth of Campbells Haggis. John Campbell (Niffy), one of Thomas Campbells five sons created the family traditional recipe by using only the finest ingredients, Scottish Lamb and oats with a special blend of seasoning. 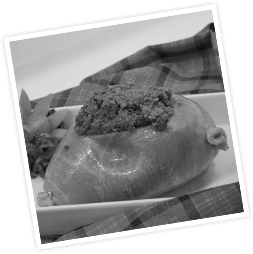 For over 100 years the haggis recipe has remained a closely guarded secret, known only to a few in the company. 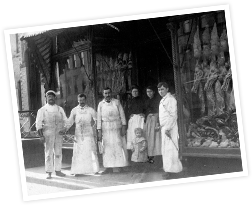 Thomas Campbell decided it was time to open his very own butcher shop which would focus on top quality meat, consistency and customer service. The shop was opened at 60 Queen Street in Edinburgh. The business was passed down to three of Thomas Campbells five sons, who promised to continue their father’s legacy of quality, consistency and excellent customer service. In 1957 the business was passed down to the next generation, Edward and Hector Campbell, (grandchildren of Thomas Campbell). 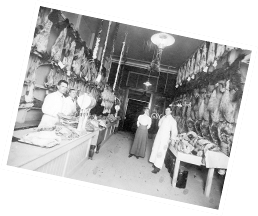 Hector Campbell, a visionary in his time, decided to try a combination of supplying meat to hotels/restaurants and to the general public. A real breakthrough for Campbells as it was the most profitable and successful business strategy in the post world war era. Hector passed away and the business was sold to DS Crawford (a subsidiary of United Biscuits) whilst Edward Campbell continued to act as the Managing Director. 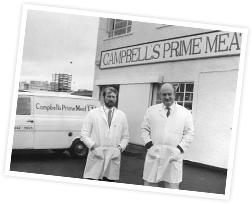 Edward Campbell decided to start his own business under the brand Campbells Prime Meat Ltd. 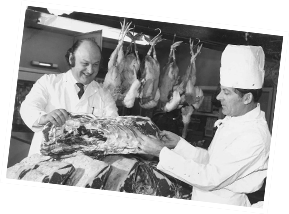 He was confident that with strong focus on quality, consistency and customer care, he could become the most successful butcher in Scotland. At the age of 35, he started with 2 vans, 6 men and only £15,000 to his name. 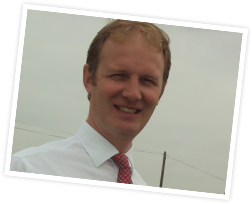 He bought a site in Granton and worked extremely hard to grow the business. His entrepreneurial attitude and the belief to deliver only the best to his customers, soon made Campbells a well-known name in trade. Over the next 25 years, Campbells successfully grew as word soon got out, that Campbells were a one-stop shop for premium Michelin star quality produce. Campbells moved to a bigger factory at Sighthill due to increase in demand from customers. 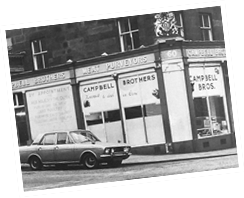 Campbells again moved to a larger premises. In Broxburn it also started a whole range of French, Italian and Spanish delicatessen products with twice weekly deliveries direct to the factory from Rungis Market (Europe’s largest food market). If you buy a French cheese or corn fed poultry from us, it is as fresh to you as it would be to a restaurant in Paris. In the early days, Campbells started their 21 days dry ageing process for beef but it was in 1994 they introduced their quality mark – Campbells Gold to the public which was approved by SFQC and guarantees its customers Scotch, dry aged beef. Campbells started their fish division with a view of supplying premium quality fresh fish. Our own buyer in Scrabster hand picks fish daily at the quayside from boats fishing in the North Sea and the Atlantic Ocean, assuring customers of the freshest, Scottish landed fish. 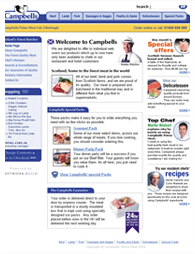 Launch of campbellsmeat.com. With the advent of the internet boom, Campbells extended its top quality produce to consumer households via their website. Now, households can enjoy Michelin star quality produce without having to pay an enormous amount of money in the comfort of their home. We call it affordable luxury! Edward retired and passed on the business to his eldest son Christopher. 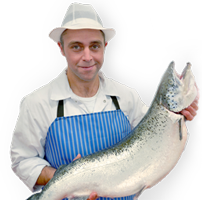 Under Christopher’s leadership, the business has matured into the largest, most flexible, approachable and affordable catering supplier in Scotland, offering the complete range of fresh meat, fresh fish and delicatessen products to the catering and hospitality industry. 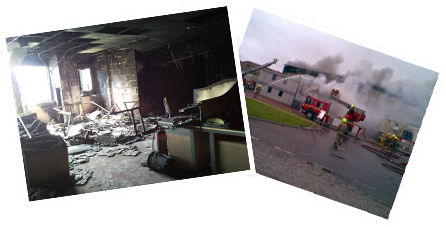 The factory at Broxburn caught fire and burned to the ground in May 2009. Over 300 jobs were at stake and the business had lost all its stock. Fortunately, no one was hurt in the incident. Three months after the fire, Campbells moved to their new premises in Linlithgow which is 20% larger than the previous factory. 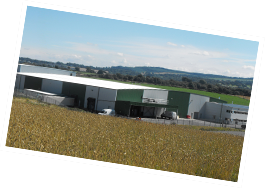 With the commitment and teamwork of the Directors and staff at Campbells and the support of our customers, our Linlithgow premises is now the finest in Scotland for the supply of fresh meat, fresh fish and delicatessen products.